The Power of Food - for Calmer Children and a Better-Performing You. will help you, as a provider, to have more consistent energy and reduced stress. 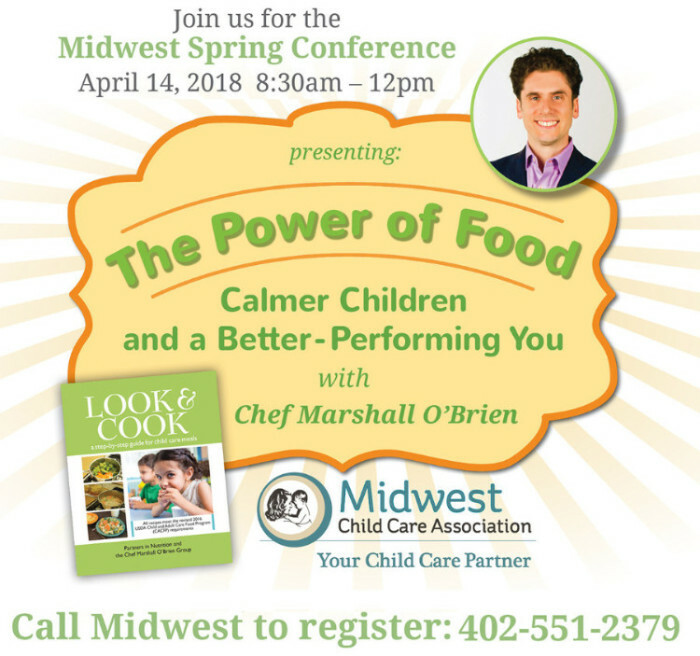 Chef O'Brien and his group have worked with childcare providers for years, helping to make their world easier and the children in their care healthier and happier. Call Midwest at 402-551-2379 to register. This training has been approved for 3 credit hours.